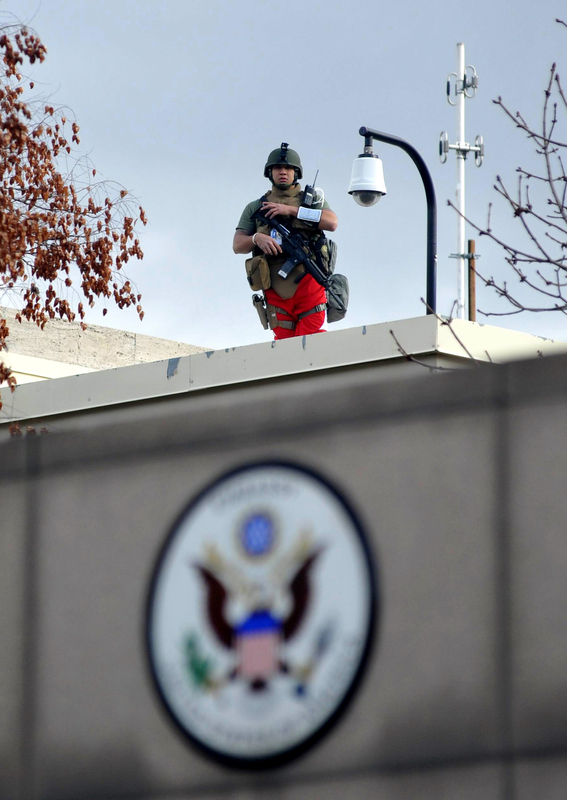 A US security personel stands guard on February 1, 2013 on the roof of one of the compunds inside the US Embassy in Ankara. A Turkish security guard was killed and several other people wounded in a suicide bombing at the entrance to the highly-fortified US embassy in Ankara on February 1, officials said. The force of the blast damaged nearby buildings in the upmarket Cankaya neighbourhood of the capital where many other state institutions and embassies are also located.